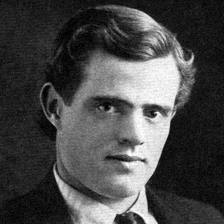 American novelist and essayist Jack London was not born a great writer. 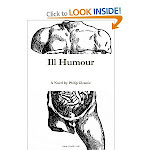 He made himself into one through years of work, and his rise to literary fame should be an inspiration to any aspiring writer. For years, Jack spent 16 hours a day writing, yet failed to receive even a hint of consideration from literary magazines, journals, and publishers. At one point, he even resolved to quit writing altogether. But his mother believed so strongly in his abilities that she begged him not to take a job and to continue devoting day and night to his craft. Many present-day writers can only dream of receiving such support. But Mrs. London's gamble eventually paid off, as her son Jack would go on to become one of the richest and most adored writers of his generation. There might be no better example of London's prosaic mastery than his 1908 short story "To Build a Fire." In it, an unnamed young man attempts to hike 9 miles across the Yukon tundra through a temperature of 107 degrees below freezing. He strives to reach a cabin "on the left fork of Henderson Creek," where several of his male companions are waiting for him with a warm bed and warm meal. London did not choose this location at random, as Henderson Creek was also the site of the same cabin he lived in while working as a prospector in his early twenties. "To Build a Fire" is a piece of masterful writing not only because of its hard, glacier-like prose, but also because of the incredible catharsis it's able to produce in its readers. And when I say catharsis, I mean it in the classic Aristotelian sense. London's story does an amazing job of making us respect the main character as a tough and resourceful person. Yet as the story unfolds, we begin to understand that no amount of toughness or resourcefulness can save the man from his fatal error of traveling alone, despite the warnings of an older, more experienced peer. On its own, "To Build a Fire" has many elements that are worthy of praise. But I believe that our appreciation of the story is greatly enhanced when we compare it with an earlier version that London published in the magazine Youth's Companion in 1902. In their basic plot, the two versions are the same. Yet the second demonstrates just how much of a difference six years can make to a writer who is still honing his craft. While the earlier version of "To Build a Fire" gives the main character a name (Tom Vincent), the latter strips the man of his name, thus rendering him anonymous in the face of the Arctic void that surrounds him. The earlier version portrays only the lone man, while the latter provides the man with a traveling partner: a mongrel wolf-dog. Last but not least, the main character of the earlier story survives his trip to the cabin, thus rendering the story as a standard tale of robust masculinity overcoming nature. The latter story, however, portrays nature as a cruel, uncaring, and abysmal force that destroys the unnamed main character. London's changes between the two versions give us an incredible example of how editing one's writing and honing one's style and ideation can bring a story from something forgettable to one of the greatest short stories of the twentieth century. Below, I have included links to the two versions of "To Build a Fire," and I strongly encourage you to read both. In addition, I would welcome any comments anyone might have about the difference (or similarities) between the two versions, and what writers and critics alike might learn from them.